Good grief! Listen to the full story here. 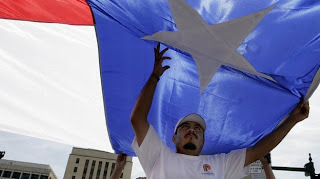 In 2006, Houston was among many cities participating in the nationwide National Day of Action for Immigration Justice rallies. When George W. Bush was governor, he adopted a Hispanic-friendly strategy that helped propel him to the White House. Now, some Texas Republicans are taking a harder stance. "I believe the Republican Party is throwing away their future," says one state Republican. For the last five years, a coalition of corporations, philanthropies and educators such as myself, called Winning Strategies/Black Male Donor Collaborative, has been working to call attention to the enormous challenges facing black and Latino men in New York City. Our concern is that too little has been done by city leaders to reverse the disastrous trends facing this segment of the population. Mayor Bloomberg used his last State of the City speech to announce that he would launch an initiative to address the needs of black and Latino males, but so far there has been scant evidence of such a push from either him or his new schools chancellor, Cathie Black. New York cannot afford to wait any longer. A 2010 report by the Community Service Society found that only one out of four young black men in the city is employed, and that this group had been the hardest hit of all demographics by the recession. "Black men ages 16-24 without a high school diploma or equivalent were almost completely pushed out of the labor market during the recession," the study noted. A 2009 report by the Fiscal Policy Institute found that in the poorest neighborhoods of Brooklyn and the Bronx, the unemployment rate may be as high as 46%. It should surprise no one that the neighborhoods with the highest unemployment also have schools with the poorest performance indicators. The two problems feed into each other. Many of these schools have been identified for closure by the Education Department: A total of 13 schools will be phased out by June 2011, with about 20 more to close in the following school year. Something must be done about failing schools, but is closing them the best strategy? A 2009 study conducted by the University of Chicago found that when schools in that city were closed, "Most students who transferred out of closing schools reenrolled in schools that were academically weak." A similar study conducted in the same year by the Center for New York City Affairs found that small high schools replacing bigger ones - the infamous "dropout factories" of urban lore - "are no panacea," with high teacher turnover and spotty records on attendance and graduation. As my NYU colleague Diane Ravitch has written, "It is easy to close schools, disperse the students and claim victory. But no school is improved and no student is helped by closing schools." There is evidence that school choice policies have made it possible for many schools to avoid serving the most challenging students. of the schools targeted for closure is the Urban Assembly Academy for History and Citizenship for Young Men in the South Bronx. The Education Department cited its graduation rate (which has hovered above or near 50%) as the primary reason for this decision. Yes, schools should be held to a higher standard, but when the rate for black and Latino males citywide is lower than the academy's, it's hard to see the wisdom of this strategy. Urban Assembly was created for the explicit purpose of educating young men of color. Before shutting the school down, the Education Department must examine why it failed and devise new ways to support its students. Last year, Ronald Mincy of Columbia University and I released a study titled "Understanding the Education Trajectories of Young Black Men in New York City: Elementary and Middle-School Years." What we found was disturbing: Less than 30% of black and Latino males are graduating with Regents diplomas from city high schools. Instead of shuffling underperforming students from one failing school to another, we must buckle down and apply interventions - high-quality preschool, extended class time, accelerated summer school, access to mentors and social workers, etc. - that have worked in other districts. This is not merely a black or Latino problem. Our city cannot afford to bear the economic and social costs of continued failure. Every dollar we spend to incarcerate a young person is a dollar we don't have available for education. The current situation also places a tremendous social burden on families and communities that have grown weary from seeing countless young men of promise become trapped in a cycle of failure. organizations ready to take concrete actions on strategies that have proven effective elsewhere. We need our policymakers to work with us. We can and must do better at serving the needs of this population than we have done in the past. It's time for all New Yorkers to insist that we do. Noguera is the Peter L. Agnew Professor of Education at New York University. The Texas public school finance system, responsible for underwriting the education of the nation’s second-largest student population, is notoriously byzantine. Parsing the jargon alone — golden and copper pennies? hold harmless? recapture? — can prove a hopelessly frustrating task. But finding a way through the labyrinth of school finance is more important now than ever as lawmakers deliberate an education budget that could, if the House has its way, leave public schools $7.8 billion short in funding. And as state Sen. Florence Shapiro, R-Plano, reminded members of the Senate Finance Committee when they passed their own education budget last week — with still staggering numbers that are $4 billion more than those from the lower chamber — any funding for education depends the passage of a new school finance bill. In the House, state Reps. Scott Hochberg, D-Houston, and Rob Eissler, R-The Woodlands, have introduced separate legislation outlining reforms. Shapiro, who chairs the Senate Education Committee, and state Sen. Kel Seliger, R-Amarillo, have each said they are working on proposals. Texas allocates most state funding for schools through a mechanism called the Foundation School Program, which was created in 1949 to distribute money from the state's Available School Fund. Now the program distributes operating funds to school districts via two streams that each contain a local and state component. A portion of state facilities funds also comes from the Foundation School Program. The Available School Fund contains earnings from something called the Permanent School Fund, which was established in 1876 and is made up of revenue from land sales, fuel taxes and leases on offshore oil lands. It also finances instructional materials and technology for schools outside of the Foundation School Program. According to the Texas Taxpayers and Research Association, in the 2010-11 biennium, about $7.5 billion in state education funds came from the Available School Fund, lottery proceeds, recaptured property taxes, and taxes on oil and natural gas, franchises, tobacco, and used car sales. Additional money from the state’s general revenue accounts made up the rest of the state’s roughly $40 billion share. Over the last two years, the state has also used federal stimulus money to supplant state funding to the Foundation School Program. Through the Foundation School Program, the state determines how much money each district gets for operations through two formulas: “Tier 1,” which constitutes the bulk of a district’s funding, and “Tier 2,” so-called enrichment funding. A district’s portion of its Tier 1 entitlement is calculated by subtracting whatever amount of money a $1 tax rate raises from the taxable property within its borders. The breakdown between state and local funding can vary widely from district to district. For example, if a district’s entitlement is $100 million, and the $1 tax rate raises $43 million, the state will chip in $57 million. For a district with lower property values, that local number could be $10 million, and the state’s portion could be $90 million. If a district happens to exceed its entitlement with the local money levied by its dollar tax rate, the state can “recapture” those extra funds. Recapture, also referred to as “Chapter 41” or “Robin Hood,” requires property wealthy districts to share their local tax revenue with the state to ensure that all public schools in Texas receive equitable funding. The Tier 2 formula depends on the famed “golden” and “copper” pennies. It uses calculations based on a district’s “compressed tax rate,” which the Legislature created in 2006 when it reduced maintenance and operation property taxes by a third. Most districts, which were taxing at $1.50 in 2005, have a compressed tax rate of $1 (that’s per $100 of property value). For equity purposes, the state guarantees every school district the same amount of revenue that the Austin Independent School District raises with a penny of tax rate — which in 2008-09 was about $60 per penny per student. If a district is unable to raise that amount locally, then the state fills in the rest. For those first six pennies above the compressed tax, any amount a district raises above $60 is protected from recapture. Any money a district raises with pennies seven through 17 — so-called “copper pennies” — is subject to recapture. If a district raises more than $31.95 of revenue per copper penny, that overage goes back to the state. If it fails to raise that amount, the state will supplement its funding until it gets to that $31.95 level. After both the state and districts have paid their part through the formulas, what’s called “target revenue” comes in. In 2006, when the Legislature reduced the property tax rate, the state guaranteed that districts would get no less than the amount they received per student at that time. They would be "held harmless" against losing any money because of changes by the Legislature. If after both the Tier 1 and Tier 2 formulas are run, a district ends up with less than its “target revenue” number, the state makes up the difference — something it does for about 900 districts, according to the Texas Taxpayers and Research Association. Last session, the Legislature voted to give districts another $120 per weighted student to create a new target revenue number in response to concern from districts that the 2006 formulas did not give them enough money to operate at current costs. The state aid that funds up to the target revenue number is what lawmakers call “target revenue hold harmless” funding — because, in essence, the state is holding a district “harmless” to a certain revenue level because it is not letting them drop below it. What additional layers lawmakers will add with changes to the system this session is anyone’s guess, says Sheryl Pace, senior analyst at the Texas Taxpayers and Research Association. They could punt, fixing the current system by passing a bill that’s simply a vehicle for distributing blanket cuts across school districts. They could change elements in the funding formulas to redirect more money to poorer districts. Or they could scrap the system entirely and move to a block grant per student. “The options are pretty much endless of what they could try to do,” Pace says. Unlike O’Donnell, Gee — the former president of Brown University, former chancellor of Vanderbilt University and current president of Ohio State University — has decades of experience inside the Association of American Universities. Gee’s view on the current state of America’s public universities? “We really do need to reinvent ourselves,” he said. “The American university is not broken, but it is certainly not reaching its potential in the 21st century,” Gee said. “We are organized very vertically, and we need to be organized horizontally around programs, working groups, centers, institutes and around ideas." That’s exactly what communication studies professor Richard Cherwitz has been trying to do at UT since 1997, when he established an initiative known as Intellectual Entrepreneurship, or IE for short. Cherwitz and other faculty involved seek to apply the concept of entrepreneurship to all disciplines, encouraging students and professors to think proactively about their role in society and its relationship to their academic endeavors. “There are thousands and thousands of students who, five years down the road, wonder why they majored in what they did and have missed an opportunity,” Cherwitz said. “Education needs to think in entrepreneurial ways where students are thinking about what their brand is, what their value is, and universities should be doing the same thing." Cherwitz is careful to point out that IE is neither a program nor a discipline. It is, rather, a philosophy — one that calls for a dismantling of the walls built up over time between academic disciplines, between graduates and undergraduates, and between the university and the surrounding community. For example, students from various disciplines form teams to address solutions to actual local problems like overcrowded emergency rooms. Mentors in the graduate school and the professional world mentor and provide hands-on research experience to undergraduates. In papers, Cherwitz has argued for graduate-level courses in all disciplines that encourage real-world applications of research. He also advocates reconsidering the current system of university tenure and promotion, suggesting that research, teaching and service may not be discrete categories, and that perhaps an “engagement” element should be added to the process. Though it was not conceived of as a diversity driver when Cherwitz founded UT’s IE initiative, it has proved to be a good one. More than half of the participants are first-generation or minority students, and more than 70 percent are women. In Austin, the IE initiative is tucked into the university’s Division of Diversity and Community Engagement. At other universities — many of them institutions championed by reformers like O’Donnell — the principles are being adopted on a grander scale. “Whether you call it IE or something else, this is where education has to go if we want to be competitive and deal with all of the problems this country faces,” Cherwitz said. According to Cherwitz, the university whose philosophy best illustrates the IE philosophy is Arizona State University. Since Michael Crow, previously a provost at Columbia University, took over as president in 2002, ASU has made strides to become the self-described “New American University.” Writings on Crow's efforts were also featured prominently in O’Donnell’s reading lists. But ASU does not have an elite AAU membership worry about. AAU president Robert Berdahl’s chief concern in his letter to the Texas A&M University System after it began implementing reforms focused on a perceived path that seemed to undervalue academic research. Crow said that would not happen in his model. In fact, he said, in the last nine years, the university has tripled its research activity while adding 23,000 students to the university with only minimal faculty expansion. “Every university should have scholarship,” he said. Holden Thorp, the chancellor of University of North Carolina at Chapel Hill — an AAU school — and author of the recently released Engines of Innovation: The Entrepreneurial University in the Twenty-First Century, admitted that he was initially skeptical of pushes to boost entrepreneurship on his campus. Of course, a roadblock to change is nothing new at a university. In 2004, UT’s Commission of 125, a group of citizens assembled to construct a vision of the future of the University of Texas at Austin, completed its final report. At the time it observed, “All large organizations resist change, and the recommendations of this report will undoubtedly encounter resistance.” Now, UT President Bill Powers says that many of its recommendations are being implemented. Perry said in an interview with the American-Statesman that he was inspired about the possibility of Austin becoming a major center for high-tech, biotech and technology yet to be invented. He said he drew that inspiration from recent conversations with a venture capitalist who visited Austin and with the deans of business and engineering at Stanford University. The governor traveled to California in an effort to recruit companies to Texas. “They agree that the University of Texas is right on the verge of being able to be the catalyst that makes Austin, Texas, the next Silicon Valley,” Perry said of the deans. He said he hoped to work with UT to raise the level of collaboration at its business and engineering schools, and he said the city’s business leaders would need to be involved as well. The governor downplayed the controversy regarding the direction of UT and its governing board. The UT System Board of Regents has been criticized in recent weeks by lawmakers, alumni and others for hiring a special adviser who has written that much academic research lacks value and that schools would be better off with fewer tenured faculty members. Regents subsequently reassigned the adviser to a temporary position that will end by Aug. 31 and pledged support for research and tenured faculty. Despite the regents’ efforts to tamp down the controversy, UT’s Ex-Students’ Association and UT President William Powers Jr. have expressed concern. Texas Tribune doesn't mess around. Here's access to the amendments to the budget. The House is scheduled to take up the full budget on Friday, and members filed more than 400 pages of amendments in advance of that debate. Here's the full set, in searchable, electronic form. If you're like us (a little bit of a nerd, in other words), you'll want to follow along at home. So we've scanned and uploaded the full set of pre-filed amendments, available here in total, if you want the whole schmear in one document, or in sections, corresponding with the 11 articles in the state budget. The links to individual articles are below the document viewer. The budget itself is available online from the Legislative Budget Board or at this link, and the summary — a long but very useful write-up of what's in the proposal in laudably clear language — is available from that same agency, or at this link. Friday's debate is expected to last into Saturday. We'll be there, live-blogging and writing and, of course, live-streaming the entire debate if you'd like to watch. At this morning's TribLive conversation, state Rep. Senfronia Thompson, D-Houston, the longest-serving woman, African American and Democrat in the Texas House, forcefully argued that state funding of public education should not be cut — unless school districts are made to tap into their own reserves. The House will launch Friday morning into a $164.5 billion budget proposal for 2012-13, which is about $23 billion, or 12.3 percent, smaller than the current budget. General revenue funding — which comes mostly from state taxes and fees — would fall $4.6 billion, or 5.2 percent, from current spending. The state's debt service — what it pays on its borrowing in the budget — would rise 18.5 percent, to $3.3 billion, in the proposed budget. But numbers aren’t all that’s buried in the details of the budget. Lawmakers have filed hundreds of amendments that are largely political objectives, from repealing in-state tuition and financial aid for illegal immigrants to trying to push Planned Parenthood out of the family planning business. Here’s a look at the numbers — and the politics — behind what lawmakers are slated to debate. —Reps. Bill Zedler, R-Arlington, and Wayne Christian, R-Center, would reduce funding for the expansion of Medicaid managed care — and Rep. John Zerwas, R-Simonton, wants to make sure managed care isn’t expanded unless federal hospital funding is also preserved. —Rep. Dwayne Bohac, R-Houston, wants to take funding from family planning services and redirect it to children’s mental health. Rep. Bryan Hughes, R-Mineola, wants to ban the Health and Human Services Commission (HHSC) from contracting with clinics that are affiliated with those that provide abortions — a direct swipe at Planned Parenthood. Rep. Dan Flynn, R-Van, wants to do the same thing, by allowing only county and municipal government clinics to provide state family planning services. —Reps. Myra Crownover, R-Lake Dallas, and Lois Kolkhorst, R-Brenham have offered amendments to keep people with disabilities from moving out of state-supported living centers without proper health practitioners enlisted to help them in the community. —Rep. Borris Miles, D-Houston, wants to cut funding to the governor’s trusteed programs for film and music, and redirect that money to HIV and STD treatment. Public education spending is almost as big as health and human services, with $34.8 billion in all funds spending, which includes $28.5 billion in general revenue. That's actually more state spending than exists in the current budget, but it leaves schools $7.8 billion short of what they should get under the school finance formulas in state law. The biggest factors in that gap are increased enrollments of about 80,000 students per year, declining property values that affect local school funding, and the use of federal stimulus money in the current budget, which isn't available for the next spending blueprint. To make the numbers work, lawmakers would have to change school funding formulas to cut state and local entitlements by about 11 percent. —Rep. Leo Berman, R- Tyler, has an amendment that would make it illegal for any state funds appropriated for higher education to pay for financial aid, in-state tuition, or scholarships for illegal immigrants. — Rep. Wayne Christian, R-Center, would require a university to create a family and traditional values center if it has a gender and sexuality center "or other center for students focused on gay, lesbian, homosexual, bisexual, pansexual, transsexual, transgender, gender questioning, or other gender identity issues." —Rep. Gary Elkins, R-Houston, would transfer $6 million in Texas Education Agency appropriations each year of the biennium to programs that fund prekindergarten. —A proposal from Rep. Burt Solomons, R-Carrollton, would slash the commissioner of education's salary by more than 70 percent — from $186,000 to $50,000. — Rep. Dennis Bonnen, R-Angleton, would move about $928,000 in funding for the Windham School District, the state program that provides education to prison inmates, and distribute it across four community colleges to support a "Bachelor of Applied Technology," the famous $10,000 college degree. — Rep. Joaquin Castro, D-San Antonio, wants to prohibit state money from going to purchase "factually inaccurate" textbooks or instructional materials. — Rep. Eddie Rodriguez, D-Austin, takes aim at private school voucher programs: his amendment would prevent the TEA from using state or federal dollars to support them. — Flynn has an amendment that would allow districts to institute a temporary moratorium on student assessment during the two school years of the biennium — a plan that's popular with many teachers and administrators who want relief from testing as they cope with budget cuts. —Rep. Erwin Cain, R-Como, wants the Texas Department of Criminal Justice to take all of its illegal immigrants who are subject to deportation to the nearest U.S. Department of Immigration and Customs Enforcement office for "immediate deportation." —Zedler filed an amendment that would pluck the state's Public Integrity Unit, which is supposed to investigate political corruption, out of the Democratic Travis County District Attorney's office and put it instead in the Republican attorney general's office. —Rep. Garnet Coleman, D-Houston, wants the Texas Commission on Law Enforcement Standards and Education to train police officers in "ethical decision making." Officers would learn how to identify ethical dilemmas, deal with crises and learn basic accountability and police professionalism. —Rep. Jerry Madden, R-Plano, chairman of the House Corrections Committee, wants the state to pick up less of the bill for housing Texas Department of Criminal Justice employees. He filed an amendment that would charge employees for maintenance and utilities at state-owned housing. House lawmakers preliminarily passed two bills Thursday that together will balance the state's budget for the remaining months of the fiscal year through a mix of spending cuts and use of the Rainy Day Fund. The cuts were in the first bill, HB 4, which passed by a party-line vote of 100-46. The second bill, HB 275, authorizes the use of $3.1 billion from the state's Rainy Day Fund. (See our liveblog of the debate here.) The latter measure generated more support from Democrats, with a final vote of 142-2. The votes came after nearly ten hours of intense debate. In all, lawmakers filed 65 amendments to HB 4. Democrats attempted to restore funding for public education, higher education, and health services. Some amendments were contingency-based; others targeted the governor's various funds, including the mansion restoration account. "I believe that the priority of making college accessible is so much higher than allowing the governor to pick winners and losers in the free market," said Rep. Mike Villarreal, D-San Antonio, in reference to amendments to keep funding for grants for incoming freshman college students by diverting from the governor's trusteed programs. Over and over, the Democrats' motions were tabled. "As worthy as all these amendments are to try to restore, we cannot piecemeal 'earmark' funds," said Rep. John Otto, R-Dayton, in response to Democratic Rep. Ruth Jones McClendon's amendment to restore funding for UT-San Antonio. While the Democrats tried to frame the debate as a matter of prioritizing education and health, members of the majority party, including House Appropriations Chair Jim Pitts, argued that making about $1.5 billion in cuts for the current biennium is the only way the state will be able to pay its bills before the next fiscal year begins on Sept. 1, 2011. In the end, two notable Republican amendments were withdrawn. The first, by Rep. Wayne Christian, R-Center, would have tapped the System Benefit Fund, a dedicated account used by the Public Utility Commission to help the elderly and the low-income pay their electrical bills. Rep. Sylvester Turner, D-Houston, argued against using the money for other purposes. "The state is taking the money. It's not going to the low-income and the elderly, and this amendment will take away money that pays for their bills in May, June, July, August and Sept. 2011," Turner said. Christian said those funds are going unused by the PUC. "To sit here and not use that money in a crisis situation... is evil on our part," he said. The other GOP-sponsored amendment that was pulled down came from Rep. Ken Paxton, R-McKinney. His proposal would have reduced salaries by just over one-half of one percent for state employees who make more than $60,000. Soon after the vote, Gov. Rick Perry sent a statement to the press praising the vote. The House continued to debate the amendments for HB275 until about 7pm Thursday. In all, they considered 21 amendments. Democrats attempted to withdraw more from the Rainy Day Fund for various education programs and nursing homes, but Republicans stuck with Pitts and won all the votes by a two-to-one margin. The final vote was 142-2. The no votes came from Rep. Gary Elkins, R-Houston, and Rep. Barbara Mallory-Caraway, D-Dallas. Rep. Jessica Farrar, D-Houston, blasted the supermajority's refusal to drain the Rainy Day Fund, which would be left with $6 billion if HB 1 survives the Senate and the conference committee process. "These bills are a band-aid fix for the serious injury that Governor Perry's poor fiscal management has done to Texas. House Democrats have said from the beginning that we want to pass smart cuts and to close corporate tax loopholes in order to prevent teacher lay-offs, keep nursing homes open, and save jobs," she said. The chamber is scheduled to vote on the general appropriations bill, HB 1, on Friday. It is expected to last into the late hours because lawmakers have filed more than 300 amendments. On Thursday, Richard Leshin, the president of the Texas Exes, the University of Texas at Austin's powerful alumni association, sent out an email warning of an anti-research mindset at the University of Texas System Board of Regents that, he wrote, "would do irreparable damage to the University." Today, the regents responded. In a letter signed by Regents Chairman Gene Powell and vice chairmen Paul Foster, Steven Hicks and James Dannenbaum, the regents assure the worried alumni that they are committed to maintaining UT-Austin's status as one of the nation's foremost public research universities. "Our view is that academic research is extremely valuable to society," they write. The letter also reasserts that the system will make no attempt to develop a report that indicates which individual professors are and are not generating revenue. Nor is there any plan to replace tenured faculty with part-time contract lecturers. "There is no hidden agenda," the regents insist. In addition to these letters, a letter from prominent alumnus and major UT donor Red McCombs surfaced today — first on the conservative website pushjunction.com — calling for cooler heads to prevail in the recent turmoil surrounding actions at the UT System. "My view is that all of us need to get on with doing what we do best," McCombs wrote, "and that is an unqualified and very visible support of the current leadership that we are so fortunate to have." Much of the tension stems from the system's recent hiring of Rick O'Donnell, an advocate of controversial reforms to higher education. On Thursday, the system reassigned O'Donnell and announced that his position would not extend beyond August 31. This is a must-read for all those who care about the quality of higher education in Texas, particularly the University of Texas at Austin, as well as systemwide. Rick Perry is waging a quiet war against our current system of higher education, which makes him a lot like some previous governors. He may win, but we’ll lose. Anyone who has read or watched the news in the past few months knows that public education in this state faces a fiscal crisis. School districts are contemplating layoffs, closing campuses, and cutting programs. What the public does not realize is that a second education crisis looms, this one involving the state’s colleges and universities. But unlike the crisis in public education, the one in higher education is not primarily about funding. It is about ideology. Rick Perry is waging an undeclared war on higher education—in particular, on the state’s two flagship institutions, the University of Texas and his own alma mater, Texas A&M. He has delegated higher education policy to the Texas Public Policy Foundation, an Austin-based conservative think tank, which has produced an ideological blueprint for how the state’s universities should be governed. The objectives are accountability, transparency, and productivity. Several of the TPPF’s recommendations have already been put into practice at Texas A&M. UT has resisted so far, but the administrators I spoke with believe the battle is likely to be a losing one. Just last month, the UT regents hired Rick O’Donnell, formerly the executive director of the Colorado Department of Higher Education, as a special adviser. O’Donnell’s skeptical view of the value of research is in direct conflict with the model of a Tier One university. In short, the money changers are in the temple, and there is no getting them out. High-stakes political battles between governors and public universities are nothing new in Texas, a state that has at times seemed suspicious of the notion of a public university. Higher ed is, after all, intrinsically elitist, and Texas, with its frontier background, has always valued common sense above schooling, especially graduate-level schooling. 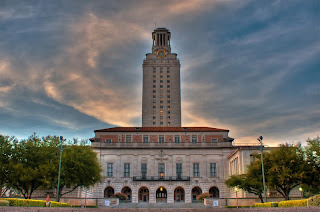 As the state’s leading university, UT has found itself wearing the bull’s-eye more than once. In the mid-teens, Governor James E. “Pa” Ferguson ordered the regents to fire faculty members whom he found personally objectionable. The regents refused, whereupon Ferguson vetoed the university’s appropriation, though his action was reversed on a technicality. The next major clash occurred during the forties, when UT regents appointed by Governor W. Lee “Pappy” O’Daniel pursued an agenda of cutting funding and removing alleged communists from the faculty. When university president Homer Rainey refused to go along, they fired him. One of the reasons for his dismissal was the charge that Rainey had discovered a “nest of homosexuals” on the faculty but had not disclosed it. The incident led to the blacklisting of UT by the American Association of University Professors. Almost a decade passed before UT’s academic reputation recovered. Perry is the next governor in this dubious lineage to take on the universities, though his efforts are cloaked in the mantle of reform. In his early days as governor, Perry followed the usual pattern of naming high-achieving, independent-minded Texans to the boards of regents at UT and A&M. But as the years went by, Perry found himself on the losing side of regents’ votes, which he did not like. He backed Phil Gramm to be the president of A&M, but the regents opted for Robert Gates; he wanted former state senator John Montford to be chancellor of UT, but Francisco Cigarroa won the vote. So he began stacking the boards with loyalists. Now both boards of regents are composed entirely of Perry appointees who appear to be willing to do his bidding. It would come as news to many Texans that UT and A&M are in need of dramatic reforms. Both are members of the Association of American Universities (AAU), the nation’s most exclusive academic club, where membership is reserved for Tier One research institutions. 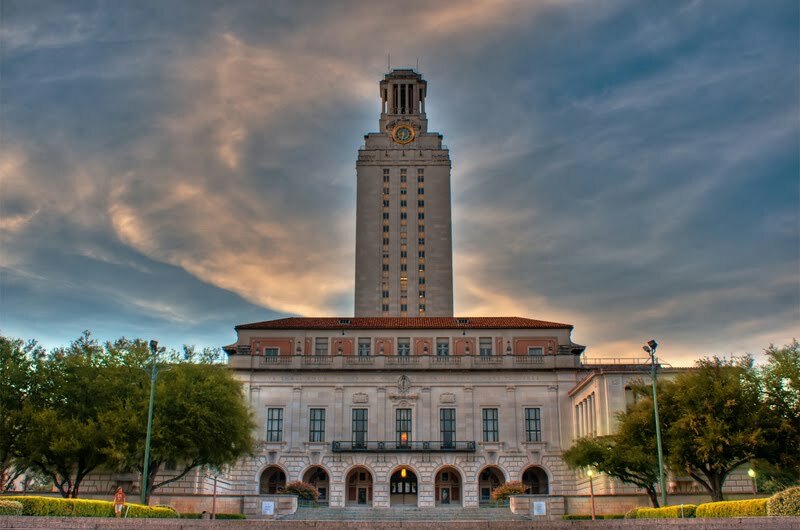 In a recent U.S. News & World Report list of the best American universities, UT ranked forty-fifth (very high for a public university) and A&M sixty-third. If one applies the normal measures, these two schools rank among the best in the nation, public or private. But this has not slowed down the drive to implement reforms at A&M, nor will it save UT. An early and ominous warning signal for UT was the voluntary departure from the board of regents, last July, of Perry’s longtime friend and confidant James Huffines. Huffines was in the midst of his second term as the chairman of the board, and his resignation was an indication that he knew change was coming and didn’t want to be around to see it. In a letter to his colleagues announcing his decision, Huf fines reminded the board about the danger of becoming embroiled in politics: “Therefore, while always respectful of the political process, the Regents hopefully will continually be united in elevating the University above any type of a partisan agenda.” Translation: Put the university ahead of the governor. Not these regents. Not this governor. Especially not after a taste of reform has already been had at A&M. As has been widely reported, new standards for measuring efficiency and effectiveness of teachers were implemented in College Station last year. Here’s how it works: First the university determines the total employment cost for every teacher. That number is weighed against how much money each teacher brings to the university through research and teaching. Faculty are then listed in a 265-page spreadsheet with members who produced a “profit” for the university coded in black and members who produced a “loss” for the university coded in red (some professors have organized a “Red Brigade”). An October Wall Street Journal article compared the position of Carol Johnson, a lecturer for an introductory biology course with 79 students, with that of a newly hired assistant professor, Charles Criscione, who had spent most of his time setting up a research lab. Johnson “made” $279,617 for A&M. Criscione “lost” $45,305. The seventh “breakthrough solution” is to change the way Texas colleges receive accreditation. The TPPF wants to bypass the Southern Association of Colleges and Schools, one of the six regional accreditation organizations recognized by the United States Department of Education and the Council for Higher Education Accreditation. Rather than use this prestigious body, the proposal calls for Texas to establish its own standards. The current process, which is “input based,” should be discarded in favor of a new “results-based” model. What does this mean? It means that in the name of reform, Texas colleges and universities could be in danger of losing their hard-won reputations. It may already be happening. Last fall the president of the AAU sent a letter to A&M chancellor Mike McKinney urging him to resist the “ill-conceived” reforms. McKinney, an old Perry ally, reportedly threw it in the trash. Texas is currently home to two great research universities, which train our workforce, create new industries and jobs, and help make this state the dynamic place it is. Does Rick Perry really believe the TPPF’s reforms will improve these schools? Or, like Pa and Pappy before him, is he just playing ideological politics with the state’s great learning institutions? Pa, Pappy, and Perry—it’s not an honor roll. Copyright © 1973-2011 Emmis Publishing LP dba Texas Monthly. All rights reserved. The conference, convened by the federal Department of Education, was expected to bring together education ministers and leaders of teachers’ unions from 16 countries as well as state superintendents from nine American states. Secretary of Education Arne Duncan said that he hoped educational leaders would use the conference to share strategies for raising student achievement. “We’re all facing similar challenges,” Mr. Duncan said in an interview. The meeting occurs at a time when teachers’ rights, roles and responsibilities are being widely debated in the United States. Republicans in Wisconsin and several other states have been pushing legislation to limit teachers’ collective bargaining rights and reduce taxpayer contributions to their pensions. Mr. Schleicher is a senior official at the Organization for Economic Cooperation and Development, or O.E.C.D., a Paris group that includes the world’s major industrial powers. He wrote the new report, “What the U.S. Can Learn from the World’s Most Successful Education Reform Efforts,” with Steven L. Paine, a CTB/McGraw-Hill vice president who is a former West Virginia schools superintendent, for the McGraw-Hill Research Foundation. It draws on data from the Program for International Student Assessment, which periodically tests 15-year-old students in more than 50 countries in math, reading or science. On the most recent Pisa, the top-scoring countries were Finland and Singapore in science, Korea and Finland in reading and Singapore and Korea in math. On average, American teenagers came in 15th in reading and 19th in science. American students placed 27th in math. Only 2 percent of American students scored at the highest proficiency level, compared with 8 percent in Korea and 5 percent in Finland. The “five things U.S. education reformers could learn” from the high-performing countries, the report says, include adopting common academic standards — an effort well under way here, led by state governors — developing better tests for use by teachers in diagnosing students’ day-to-day learning needs and training more effective school leaders. “Make a concerted effort to raise the status of the teaching profession” was the top recommendation. University teaching programs in the high-scoring countries admit only the best students, and “teaching education programs in the U.S. must become more selective and more rigorous,” the report says. Raising teachers’ status is not mainly about raising salaries, the report says, but pay is a factor. According to O.E.C.D. data, the average salary of a veteran elementary teacher here was $44,172 in 2008, higher than the average of $39,426 across all O.E.C.D countries (the figures were converted to compare the purchasing power of each currency). But that salary level was 40 percent below the average salary of other American college graduates. In Finland, by comparison, the veteran teacher’s salary was 13 percent less than that of the average college graduate’s. In an interview, Mr. Schleicher said the point was not that the United States spends too little on public education — only Luxembourg among the O.E.C.D. countries spends more per elementary student — but rather that American schools spend disproportionately on other areas, like bus transportation and sports facilities. “You can spend a lot of money on education, but if you don’t spend it wisely, on improving the quality of instruction, you won’t get higher student outcomes,” Mr. Schleicher said. An arts school in downtown Houston, a dual-language academy in southwest Houston and a Center for Teaching and Learning in Montgomery County are among the 32 charter applications the State Board of Education will consider this fall. Unless pending legislation lifts the state cap, only five of the charter applications submitted by last month's deadline will be approved. "That gives you a lot of heartburn," said David Bradley, a State Board of Education member from Beaumont. "It makes it really difficult for the board in their decision-making." Charter school advocates are hoping the cap of 215 will be lifted in time to allow more of these applicants to open schools in fall 2012. Several bills propose raising the cap by at least 10 schools a year. Currently, 120,000 Texas students, or about 2.5 percent of the state's public school population, attend a charter. "We think the climate has shifted pro-charter and for that we're quite pleased," said David Dunn, the executive director of the Texas Charter Schools Association. Some of the legislation is scheduled to be heard this week in the House Public Education Committee. While a substantial percentage of charter students attend well-known chains like KIPP, YES Prep or Harmony Science, this group of applicants includes mostly grass-roots operations. Even former charter school-skeptic Linda Ellis, a longtime educator, is among the applicants. She hopes to open a 120-student campus near The Woodlands that will feature small, multi-aged classes for pre-kindergarten through eighth grade. "If we're going to have charter schools, we need to stop fighting it and have some really, really good ones," she said. "We educators have to get in there." Texas first allowed charters — tax-supported campuses that aren't subject to the same regulations as traditional schools — in 1995. Red flags were raised a few years later when state officials approved nearly 120 applications at once. Many of those schools had serious academic and financial troubles, prompting the Legislature to limit the number. Texas has been bumping up against the cap for several years, freeing up space only by enticing some charter chains to operate multiple schools under one charter. This year, Harmony Science returned four charters and Richard Milburn-Beaumont returned one. Any new legislation would take affect Sept. 1. The state board is expected to approve charter applications later that month. If the cap isn't lifted, Bradley said, "Parents will be disappointed." Patrick Brooks, who hopes to open a performing and visual arts secondary school for downtown's theater district, shares the sentiment. He thinks his campus would fill a much-needed niche and reduce the dropout rate by giving students a reason to stay in school. "This would be a school that every parent would want their child at," said Brooks, who would serve as superintendent of BlazinBrook Preparatory School of the Artz. The campus would be a spinoff of a 10-year-old nonprofit that contracts to provide arts education to several Texas districts. Most of the education bills getting Texas lawmakers' attention this session center on school funding. But there are dozens of other bills that propose changes in how school districts operate day-to-day and what children do at school. On Thursday, the Senate passed a "truth in grading" bill that would bar school districts from creating minimum grade requirements rather than grades based on merit. The bill, HB79, will now go to the House for consideration. It is the second time around for the measure, authored by Sen. Jane Nelson, R-Flower Mound. She filed a similar bill in 2009, but 11 school districts challenged it in court, asserting that the law applied only to individual course assignments, not to averages or report-card grades. Some school districts said the ability to assign artificial grades of 50, 60 or 70 can help keep students in school. Nelson's bill this session seeks to make it clear that school districts can't require teachers to assign a minimum grade for any reason, including on course grades, tests, progress reports and course assignments. Teachers should have the authority to award the appropriate grades for students, said Holly Eaton, the Texas Classroom Teachers Association's director of professional development and advocacy. She testified in favor of the bill at a Senate education committee public hearing. "Those kinds of decisions should be left to the professional, that being the teacher," Eaton said. Here are several bills being considered that deal with the daily experience of teachers, students and others who work in schools. School campuses in which 80 percent or more of the student body qualify for free or reduced-price breakfast would be required to provide free breakfast to all students at that school. Known as the "anti-bullying bill," it would require school districts to create anti-bullying polices and train employees on preventing, identifying and responding to bullying. It would also expand the definition of bullying to include cyberbullying and off-campus bullying, and would allow districts to transfer a bully to another class or campus. School districts would be barred from prohibiting the Ten Commandments from being posted in a classroom. Schools would be required to have one counselor for every 300 students, and districts would be entitled to more state funds to cover the costs. School districts would be required to create allergy and anaphylaxis management plan for students with food or life-threatening allergies. The plan must include methods to lessen a student's exposure to the food or allergen. Students who want to participate in a University Interscholastic League sport would first be required to get a baseline cognitive linguistic test, along with a physical exam. Athletes who suffer a concussion would be required to have a cognitive linguistic test before they could return to a game or practices. School districts would be required to shorten their school week from five to four days. Districts would have to change their schedules so the average length of a school day is at least 8.5 hours. The district's state funding share would not be affected by the calendar change. The Texas Education Agency would be asked to create a rating system to measure performance of local school boards. The board would be rated every two years under such an accountability system. The new system would assess how the district allocates employees and funding to low-performing schools. Are "charter universities" the future of state-funded higher ed? Editor's note: This story has been corrected to reflect the fact that the proposal to split the University of Wisconsin-Milwaukee from the state system came from the governor's budget, not from the university. On the face of it, the budget proposal that Ohio Governor John Kasich released this week looks like terrible news for state universities. Not only would Kasich’s plan slash higher education spending by 10.5 percent but it also would cap tuition increases at 3.5 percent a year. Gee’s optimism rests on another aspect of the governor’s budget. In exchange for the budget cuts, Kasich would give state universities more autonomy in running their day-to-day affairs. Long-term, that could save schools money. “We at Ohio State continue to move aggressively in both advocating for regulatory freedom and reconfiguring and reinventing our institution,” Gee said. With states mired in their fourth straight year of budget shortfalls, many university presidents around the county seem willing to make deals like the one in Ohio. In states such as Oregon, Louisiana and Wisconsin, flagship universities are inching away from their traditional patrons in the statehouse, accepting lower levels of state funding in exchange for freedom from state regulations. The result may be a new relationship between states and their public universities. For state leaders, that relationship may wind up being less of a budget drain — but politicians will have less leverage to tell universities what to do and how to do it. For universities, less state funding and oversight is likely to come with higher tuition and more reliance on private-sector funding. At the same time, it will raise questions about the core mission of state universities whose original purpose was to offer an affordable education. This is not the first time Ohio has sought to change how it pays for higher education institutions. In 2009, the state overhauled its funding formula to reward schools for keeping students through to completion. Instead of receiving money for every matriculating student, funding is now weighted towards universities that keep students through to graduation. Now, Kasich, a Republican in his first year in office, is calling for turning the state’s public universities into “charter universities.” That designation would allow them to operate under fewer state regulations. It’s still unclear what that freedom would look like, but education officials have given the example of exempting state universities from rules requiring multiple contractors on building projects. That’s a regulation that tends to drive up the price of construction on campus. The plan has a familiar ring to it. In Wisconsin, Republican Governor Scott Walker has proposed splitting off the state’s flagship public university in Madison from the rest of the University of Wisconsin system. The move to set up the school as a separate authority would give the University of Wisconsin-Madison more leeway in spending and setting tuition. The governor also proposed studying a similar split for the University of Wisconsin-Milwaukee. The UW system faces a $250 million cut in Walker’s proposed budget for the next two years, about half of that coming from the Madison campus. In Louisiana, lawmakers approved legislation last year allowing higher ed institutions to raise tuition if they met certain requirements, such as higher graduation rates. Now, Republican Governor Bobby Jindal wants to combine some administrative functions and give schools more leeway in hiring, setting tuition and purchasing. And in Oregon, state university officials are pitching a broad plan to finance the University of Oregon through state bonds and private donations. Supporters of the plan say it would protect the school from swings in state budgets and provide a more predictable funding stream. Critics say the plan could lead to more tuition increases. During a state Senate hearing on the idea last month, students showed up to protest wearing red tags on their shirts that said “Keep UO Public,” according to The Oregonian. While the share of state funding in university budgets has been declining for decades, the drop has become more pronounced during the recession, forcing price increases and intensifying talk of university flexibility. Many university officials, like Gee, have indicated a willingness to exchange reduced state aid for the ability to raise more revenue on their own. But as long as the state appropriations keep flowing to schools, lawmakers are going to want to have some say in tuition rates, says David Breneman, a professor at the University of Virginia. Proposals to grant more autonomy to state universities are not new. In 2005, Virginia lawmakers granted the University of Virginia, Virginia Tech and the College of William and Mary more autonomy from the state. Routine administrative business such as purchasing or payroll no longer has to go through officials in Richmond. In return, the state required the universities to meet objectives on student access and affordability. In Ohio, Sara Kaminski, executive director of the Ohio Conference of the American Association of University Professors wrote an editorial in The Columbus Dispatch saying Kasich’s proposal would renege on the state’s commitment to providing an affordable education. Within hours of the release of the National Research Council's ratings of doctoral programs last year, individual departments and universities were stating objections to the methodology, the data or both. Six months later, the American Sociological Association has released one of the most detailed analyses of the ratings -- and the panel of sociologists was unsparing in its critique. It found fault with the methodology, the way it was executed and the broad approach used by the NRC. The sociology panel's report, released with the endorsement of the council of the association, urges sociologists to take actions "discouraging faculty, students, and university administrators from using the core 2010 NRC rankings to evaluate sociology programs," and "encouraging them to be suspicious of the raw data accompanying the 2010 NRC report." Many of the criticisms are based on particular qualities of sociology, but may well apply to other fields as well. The NRC rankings were released in September, years later than called for in the original plan and with an unusual methodology in which two separate rankings were released and ranges rather than a single ordinal number were provided for individual programs. The sociology panel found numerous flaws in the way the project was run. * Books were not counted in evaluating faculty productivity or quality for social science disciplines. The NRC included books in its humanities evaluations, but not in other fields, noting the norm in fields such as economics of focusing on journal articles. The sociologists' report says that books play an important role in the discipline's scholarship and should not have been excluded. "The decision to exclude books understates the productivity of departments in which faculty tend to work on qualitative, historical, and theoretical research, and on research aimed at a broad or interdisciplinary audience," the report says. * Analysis of faculty research also excluded book citations. "Many of the most important and influential works in the history of sociology and in recent sociology have been books. Examples are Theda Skocpol’s States and Social Revolutions and William Julius Wilson’s The Truly Disadvantaged, citations to which would be excluded in the assessments of their departments," the report says. * Calculations of journal articles did not take into account whether the publication was well-regarded or obscure. "By disregarding differences in journal quality, the rankings penalize departments in which faculty tend to publish fewer papers of higher quality in stronger journals. Many scholars would consider the NRC procedure a perverse incentive to produce larger quantities of less important scholarship." * No distinction is made between single-author and co-authored papers. Sociology is a field where some subfields tend to publish single author or double author papers while others publish with large groups of colleagues. The NRC formula, the report notes, counts a single piece with six authors in a department as six articles, favoring departments with a tradition of many co-authors. * Admissions quality was judged by quantitative GRE scores alone. For many sociology departments, verbal scores are as significant a measure, the report says. It explains: "This decision privileges sociology departments with quantitative oriented programs over departments with theoretical, historical, ethnographic, or other nonquantitative orientations." Beyond these issues (most of which the sociology report says could be fixed), there are additional problems posed by the nature of sociology today in ranking departments in their entirety, as the NRC does. One issue is that there are subfields -- and the report notes that U.S. News & World Report ranks sociology in seven subfields. (Given that the sociology report makes clear in other places that the authors don't hold the U.S. News rankings in particularly high regard, comparing them favorably to NRC on one measure would appear to be a notable dig at the NRC.) And even subfields don't capture all of the issues, the report says, since there are also significant methodological differences among departments. "For example, a department can excel in urban sociology by having a largely ethnographic or a largely quantitative program," the report says. While offering numerous examples of flaws in the rankings, the report says that they are already having an influence -- one that could grow in dangerous ways. "In the short term, the NRC ranking system can have detrimental effects on departments whose rankings are lower than their actual quality. University administrators seem to have taken the results seriously," the report says. It notes that universities have rushed to issue press releases about highly ranked departments, and that an "attitude" of respecting the NRC review "may result in short-term punitive actions by administrators against departments whose rankings, unfairly or not, are low." Further, the report says its authors fear that some universities may attempt to alter departments to score better -- regardless of the flaws in the methodology. "Departments may also have reason to worry that, in their next review, administrators may direct them to change their programs to improve their status in future NRC rankings, for example, by hiring faculty who write articles, rather than books." Jeremiah P. Ostriker, chair of the NRC committee that prepared the rankings, and a professor of astronomy and former provost at Princeton University, said in an interview that there is "a great deal of validity in many of the points" raised in the report. Any rankings system, Ostriker said, "will seem and be unfair to some group or another." On the question of including books in calculations of faculty productivity, Ostriker said that the NRC committee included social scientists, and that the issue never came up. He defended, however, the decision not to evaluate the quality of journals in which articles appeared. He said that by measuring both number of articles and their citations, the methodology reflected the reality that some journals are more influential than others. "A paper in Nature is much more cited than one in some out-of-the-way journal," he said. Ostriker also said that, based on modeling done by the committee prior to adopting the final methodology, the NRC found that many tweaks don't change the actual rankings in significant ways. The tone of the sociologists' report did not surprise him, Ostriker said. "When our study first came out, it was greeted with shock and horror because it wasn't what people expected and they were very, very nervous," he said. As time has passed, "the tone has changed," and he thinks the same will be true of the sociologists' criticisms. Still, Ostriker stressed that he believed the most important part of the process was assembling the data, not the methodology. He noted that groups could use the data for their own rankings or on a program-by-program basis. "What's most important is finding ways that the data can be used and made helpful to universities," he said. Pretty good analysis of how Texas labor, like 22 other "Right to Work" states that disallow collective bargaining, manages workers' rights. It's a different ballgame altogether. Quote from Rep. Lon Burnam, D-Fort Worth, who also notes that "a stronger union presence might lead to less cavalier budget reductions." "If organized labor was stronger, there would be much stronger pushback , and the people in control would be listening better to the people who are going to have their services slashed, their jobs cut," he said." State budget in crisis? Check. Republican-controlled Legislature and governorship? Check. College town full of liberal sentiment? Check. Why is it, then, that Texans aren't picketing the statehouse and sleeping in the Capitol Rotunda, à la protesters in Madison, Wis.? A projected revenue shortfall of as much as $27 billion leaves no shortage of Texas constituencies negatively affected by the budget proposals under consideration, including public sector workers like those who have formed the backbone of the Wisconsin demonstrations. The missing ingredient, it seems, is a strong union presence to organize and sustain protests, now entering their fourth week in Madison. Texas is one of 22 "right to work" states, making mandatory union membership illegal for all workers, public and private. That designation has a direct impact on union strength: In right-to-work states, an average of 6.5 percent of the work force are union members, compared with 14.5 percent in states where employees can be compelled to join a union. Texas law also prohibits collective bargaining for public workers, the centerpiece of the Wisconsin firestorm. Collective bargaining allows workers' union representatives and employers to negotiate wages and working conditions in binding talks. Wisconsin Gov. Scott Walker has attempted to eliminate most public employees' collective bargaining rights, saying the move is necessary to help balance the state budget. A recent study by a liberal-leaning research group, Policy Matters Ohio, found that states that ban collective bargaining rights are struggling with slightly larger deficits, on average. Wisconsin's union protesters have agreed to concessions on health benefits and pension plans, but the collective bargaining provision has been a sticking point, bringing the two sides to a political stalemate. In Texas' public sector, organized labor operates under a patchwork of employment rights, depending on one's occupation and governing authority. The State of Texas, municipalities and school districts all grant workers different rights and employment agreements of varying strength. Local governments may grant public workers less comprehensive "meet and confer" rights, and some school districts have afforded even less robust "consultation" privileges to educators. Austin police and firefighters, for example, have been given the ability to negotiate labor contracts with the city. The Austin Police Association, under a special state law passed in the 1990s, received the right to discuss working conditions, benefits and pay with city officials. Austin firefighters won a similar ability through a citywide vote. But the public safety associations, like virtually all their public sector counterparts, may not strike. And if negotiations do not result in an agreement, the talks are simply discontinued. "We have only what the local voters want us to have," said Charley Wilkison , director of public affairs for the Combined Law Enforcement Associations of Texas , the state's largest police association. "So instead of us being dependent on politicians who want to make a name for themselves nationally by busting labor, if we have any ability to negotiate, it comes directly from the people we serve." With more than 18,000 members, Wilkison's federation contracts with local law enforcement groups across the state, providing legal counsel and whatever representation it can, based on the local labor law in effect. Texas state employees are granted no way to formally weigh in on working conditions or wages. The 300,000-plus employees of state agencies and higher education institutions have the right to organize, but dialogue and negotiations are at the whim of management's willingness to hear their concerns. "We're prohibited from having any kind of a contractual relationship with our employer," said Mike Gross , vice president of the 12,000-member Texas State Employees Union . The largest bloc of Texas' public employees — the state's 330,000 teachers — are fractured on the fundamental question of the Wisconsin debate. Of Texas' four biggest teachers associations, two favor collective bargaining, and two oppose it. Even as the state's pro-union advocates watch Midwest labor battles unfold over rights they've never had, Texas' state employees earn about 17 percent less than private sector workers of comparable education and experience. The national average is 11 percent less, according to a study by two University of Wisconsin — Milwaukee professors. While Gov. Rick Perry strives to enact policies that make Texas "open for business," his small-government philosophy in the face of growing state needs and sagging tax receipts is sending quite the opposite message to those considering a life in public service. Texas' budget proposals, for example, do not allocate resources for the 80,000 new students who enter school each year. Instead, school districts will probably be forced to increase class sizes, and teachers might also be asked to give up preparation periods. At the Texas Education Agency, hundreds are being laid off at the same time the agency is slated to play a central part in rolling out a new statewide testing regimen next fall. All state employees are likely to see state contributions to their pensions reduced, from 6.95 to 6 percent, the minimum allowable under the state Constitution. More than 9,000 state workers could lose their jobs, and every state agency has already cut back under orders to trim 7.5 percent from their budgets ending Aug. 31. Rep. Lon Burnam, D-Fort Worth , said a stronger union presence might lead to less cavalier budget reductions. Burnam has been a member of the Communications Workers of America since he joined the Legislature in 1997. Burnam, a civil rights consultant, obtained his membership as a legislator, his office said. "If organized labor was stronger, there would be much stronger pushback , and the people in control would be listening better to the people who are going to have their services slashed, their jobs cut," he said. What gains unions have achieved locally may be subject to the same state-level assault occurring in Wisconsin, as Texas' mayors and school boards find their ability to balance budgets hampered by wages and benefits won by organized labor. "Everything you see in Texas, where people have employment rights, it's all very, very tentative," Wilkison said. "There are trigger mechanisms there that allow local voters to undo it whenever they want." There is also an element of urgency to the Wisconsin upheaval that Texas lacks. In Madison, a governor's ambitious budget bill attempted in one week to wipe out union gains that have stood for more than half a century. In Austin, the slow simmer of the budget shortfall's implications will play out over 140 legislative days. Tony Plohetski and Ben Wear. "According to the Texas Charter Schools Association, about 120,000, or 2.5 percent, of Texas' 4.8 million public school students are enrolled in charter schools, which are public schools, usually run by nonprofits, that are subject to fewer state regulations. A TEA report on 35 charters operational from 2006 to 2009 found that, because any nonprofit organization may submit an application to start a charter school, many "encountered substantial challenges resulting from founders' lack of experience in public education." Fifty-five of the 289 charters granted since 1996 have ceased operation because of revocation or nonrenewal. And at a time when a multibillion-dollar state budget shortfall has made efficiency in education the mantra, charters typically have higher administrative costs. According to the Texas Association of School Business Officials, from 2004 to 2009, an average of 11 percent of operating costs went to administration at charter schools, compared with about 6.7 percent for public schools with enrollments of less than 1,000." With state oversight possibly stretched by layoffs, questions arise about increasing number of charters issued. An estimated 56,000 Texas students are on waiting lists for charter schools the kind of demand that prompts discussion and legislative proposals. State lawmakers will soon begin considering bills that would chip away at those lists by authorizing more charter schools. But given the need for stringent oversight of these occasionally failed education enterprises, some question whether expansion is appropriate at a time when the Texas Education Agency — public education's chief regulatory body — has laid off about 10 percent of its staff. State law caps the number of charters the State Board of Education may grant at 215, and there are currently 210 active charters. House and Senate committees will take up bills related to raising that cap as early as Tuesday. The most ambitious would allow up to 100 new charters per year, with no total limit. A more moderate proposal would allow 10 new charters annually. The number of campuses would presumably multiply by a number greater than whatever new cap the Legislature might ultimately authorize: Because charter holders may run networks of schools, those 210 open-enrollment charters currently encompass 520 campuses. House Public Education Committee Chairman Rob Eissler, R-The Woodlands , said he believes some upward adjustment of the cap will pass this session. "There's a market for them," Eissler said. "We've got charter schools that have long waiting lists, and it's a very market-driven mode of education, which is promising." According to the Texas Charter Schools Association, about 120,000, or 2.5 percent, of Texas' 4.8 million public school students are enrolled in charter schools, which are public schools, usually run by nonprofits, that are subject to fewer state regulations. In a kind of trade-off, although charters receive some public funds, they are not eligible to receive money from local property taxes or most state money for facilities. Advocates promote charter schools as educational innovators for students who find their local public school inadequate. Many charters are tailored to a specific demographic or specialized academic program. Detractors point to the think-outside-the-box philosophy of charters, which can bring nontraditional players to the education table and occasionally results in a trial-and-error approach that subjects students to the consequences of those errors. The TEA is charged with monitoring and intervention when any public school fails to meet expectations. But spokeswoman Debbie Ratcliffe has said more agency layoffs could come this summer, raising concerns about the agency's ability to effectively monitor a new generation of charters. "If a law passes to increase (the cap), then we do what we can to make it happen," said Suzanne Marchman, another TEA representative. Lindsay Gustafson, public affairs director for the Texas Classroom Teachers Association, said her organization is not unequivocally against lifting the cap but opposes the proposition at this time, given the state's budget woes and TEA staff reductions. "They're already strapped, in looking at charters — oversight of charters and any time that they take to close charters is pretty significant," Gustafson said. "It's not an easy thing to do." The Texas Charter Schools Association was founded in 2008 to be an advocate for the Texas charter movement and to serve as a resource for charter operators, from the application process through day-to-day school administration. "We've launched the first-ever comprehensive set of model policies for charter schools in the state," said David Dunn, the organization's executive director. The goal is to give charter operators the blueprint they need to run schools that are both effective and in compliance with state and federal laws, Dunn said. Raising the cap is one of his association's "top priorities" this session. First introduced to Texas in 1995, charter schools have received significant attention in recent years; the 2010 documentary "Waiting for Superman" — highlighting wait-listed children's agonizing experiences with the lottery system by which students are admitted to many charters — featured the highly successful KIPP charter school network, founded in Houston. President Barack Obama's Race to the Top education initiative encourages pro-charter reform. But compared with regular school districts, a higher proportion of charter schools ranks as "academically unacceptable" — the lowest rating possible — under the state's accountability measures. In 2010, 11.1 percent of charters received the designation, compared with 1.4 percent of regular public school districts. Schools or districts that receive this rating for multiple years are subject to various sanctions, including potential closure. At the same time, nearly one-quarter of all charters have the state's top rating of exemplary, compared with 18.5 percent of regular districts. The TEA's latest round of accreditation will result in the revocation of four charters, and 16 of the 22 districts newly designated as warned or on probation are charters. The annual accreditation process is based on a district's academic performance and financial health, among other criteria. All four charters slated for closure are appealing. Fifty-five of the 289 charters granted since 1996 have ceased operation because of revocation or nonrenewal. And at a time when a multibillion-dollar state budget shortfall has made efficiency in education the mantra, charters typically have higher administrative costs. According to the Texas Association of School Business Officials, from 2004 to 2009, an average of 11 percent of operating costs went to administration at charter schools, compared with about 6.7 percent for public schools with enrollments of less than 1,000. In Austin, two charters illustrate the promise and pitfalls of such schools. There is NYOS, a two-campus charter that has operated for 12 years and was ranked the fourth-best public high school in Austin last year by a Houston-based research group. And then there is SAILL, opened in 2007 and shuttered in 2009 as financial mismanagement led to one superintendent's ouster and the resignation of the entire board of directors. Regardless of the challenges the state's charter movement has faced, students continue to migrate to the schools. Charters have made a net gain of more than 67,000 midyear transfers since 2000, according to TEA data. As of the fall, 743 students were hoping their number might be called at NYOS, and at least 56,000 Texas children will watch the charter cap debate with a vested interest in the outcome.